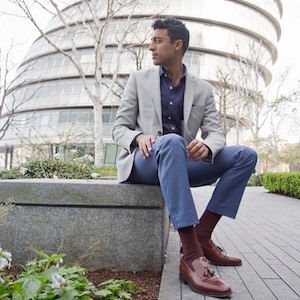 Cyrill Ibrahim is a concert pianist, lifestyle blogger, orchestra leader and virtual reality startup founder who used personal branding to extend beyond musical talents into these very different areas. Cyrill started his career as a concert pianist, but didn’t stop there. He has extended his musical career to become a lifestyle influencer with his blog The Cultured Gentleman, he co-founded the World Harmony Orchestra and has his own startup to teach the piano using virtual reality. 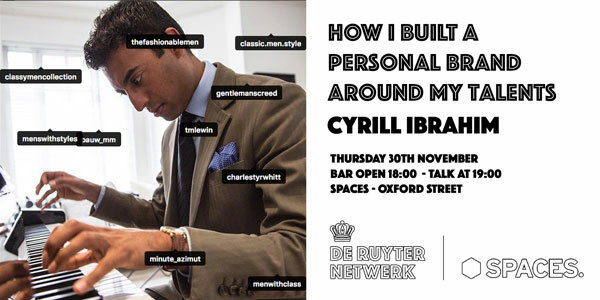 At this talk Cyrill will be taking us through the steps he took to build a personal brand and tie these different areas together. Born in 1984 in Rotterdam, Cyrill studied at the Rotterdam Conservatory where he graduated in 2009 with distinction. Hereafter he studied with Andrew Ball in Master in Performance degree at the Royal College of Music. Cyrill’s debut album, ‘Dialogue’, features works by Bach, Debussy, Schubert and Schumann. Just after the release of his disc he became ‘Artist of the Week’ at BBC Radio 3.